Nobody expects to lose the car keys to her or his Subaru. You won’t have to go through a lot of hardship to replace that car key with these service. 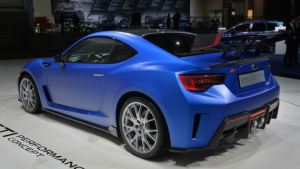 Give AZ Car Keys a call right away and get Subaru car key replacement services from the pros. Have you lost your Subaru car keys? Are you looking for a spare key or replacement for your car keys? If yes, you are at the right place. The first thing that any Subaru owner should do after losing his/her car keys is to contact AZ Car Keys. These keys were introduced in 1995. They come with a computer microchip which is embedded in a plastic body and electronically coded. This code detects the car keys when you insert them in the ignition. Therefore, for the engine to start, the code has to match with the car. If the transponder breaks or gets lost, the car won’t start. The best way to replace transponder keys is by reprogramming the immobilizer control. This process ensures that the new car keys match with the new reprogrammed code. The cost of this process will depend on the car model, urgency, location and other factors. This is the most common type of car key that comes with modern day cars. These keys can be used to turn car alarms ON/OFF, open and close car trunks and locking/unlocking doors. They use infrared or radio transmitters to send a message to the car’s receiver. These keys use batteries and will not work if the batteries are flat. If a remote key goes missing, replacement of the systematic bypass will be done. They are first introduced in 1999. They send a new code each time the car key is used. These codes are virtually impossible to replace. This implies that replacement of such a key is very expensive. Most Subaru cars come with either standard side cut keys or high security keys. High security keys are equipped with an immobilizer device while standard keys may or may not have this device. Subaru key blanks can be purchased from local auto-spare part shops. However, you should ensure that you select the correct blank for your car. Subaru adopted the transponder keys in 2005. These keys had curves on both sides. In 2009, the company introduced last cut keys as a means of enhancing security. These keys had curves on both sides together with an immobilizer device. Later, the Push Button Start ignition was introduced with a keyless entry. These keys became very popular due to their convenience. For instance, you could start your car with the keys inside the pocket. These keys are difficult to replace. A key code is the number that corresponds with the cuts that match with your Subaru lock. Key codes are generated by the manufacturer. If you buy a new Subaru car, you will be given two master keys; a valet key and a stamped metal tag with the key code. You should store this key code tag in a safe place as it will save you money when you need to replace lost keys. However, if you don’t have your key code tag, our experienced technicians will implement two techniques to secure it. The first technique requires you visit a Subaru dealership with your ID and registration and request for your key code. Codes are only available for models manufactured from 1990. The second technique is where our technicians purchase your key code from another vendor. It’s always a good idea to own a spare key for your Subaru. AZ Car Keys has all the equipment and manpower to make spares for any Subaru car. Spares are cheaper and faster to make. 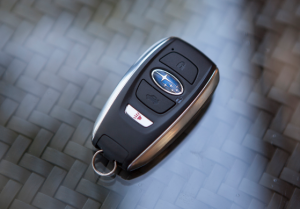 If you have lost your Subaru car keys, AZ Car Keys will program new car keys for you. Forget all the misleading information such as needing a new ECU box, ignition barrel or locks when you lose your keys. Our technicians will make brand new keys for you within minutes. Call AZ Car Keys Today For Replacement Subaru Keys! Had these guys come replace my Subaru key last week. They were very professional and seemed to get to me in a flash. Great company and if I ever have to, I will use them again!